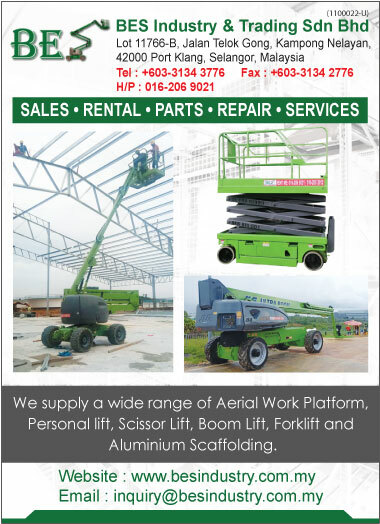 BES Industry & Trading Sdn Bhd is a newly established company in Klang Valley supplying a wide range of Aerial Work Platform, Personal Lift, Scissor Lift, Boom Lift, Forklift and Aluminium Scaffolding. We focus on Sales & Services to various industries eg. Warehousing, Piping Jobs, Electrical & Wiring and Painting Works for Building & Construction sector. With years of experience in this sector and with our competent, experiences and helpful staff in sales & technical, an excellent after sales support to our valued customers is our Top Priorities and we are confident that we will meet every customers’ requirement with high quality and excellent services to meet our customers’ satisfaction.